A Co Armagh woman who provided a false alibi for a murder suspect linked to the fatal shooting of a prison officer evaded a jail term after appearing in court on Monday. Fiona McFadden was handed a suspended prison sentence for perverting the course of justice after she admitted lying about the movements of her ex-partner Sean McVeigh. McFadden, a 30-year old mother of one from Killough Gardens in Lurgan, told officers investigating the murder of Mr Black that Sean McVeigh had been trick or treating her and their daughter between the hours of 4pm and 9.30pm on October 31, 2012. As the 52-year old father of two was driving along the M1 between Portadown and Lurgan at around 7.30am, a gunman opened fire from a Toyota that pulled up alongside his vehicle. Sean Mcveigh was arrested and spent time in custody in relation to the murder - but all the charges levelled against him were dropped by the PPS last July. McFadden then made a false oral statement to police regarding the movements of Sean McVeigh between 4pm on 9.30pm the day before Mr Black was murdered. Mr Mooney also revealed that in November 2012, McFadden was no longer in a relationship with Mr McVeigh, but he was the father of her child. Regarding the false information she gave to police, Mr Mooney said this did not impact or influence the outcome of the investigation. He did, however, speak of the police time that was taken up “arresting and interviewing” McFadden. She initially denied the charge, but after she was re-arraigned earlier today on a single charge of doing an act intending to pervert the course of justice, McFadden entered a guilty plea. 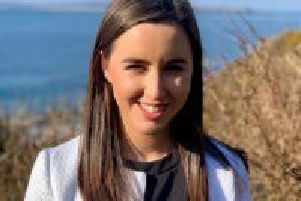 The senior barrister also spoke of the three year period between the murder and today’s court hearing, which he said had been hanging over and which has had a “substantial effect” on her. The Judge added that her actions had “very little impact” on the murder investigation, and that her guilty plea reflected “an element of remorse”.